Did you ever wonder what's another word for 'incredible' or 'last' or anything else for that matter? In order to make language a lot more expressive and interesting we should try to vary the words we use as often as we can (but not too often). That’s where synonyms come into the picture! and WhiteSmoke Synonyms Software is where you will find them all. 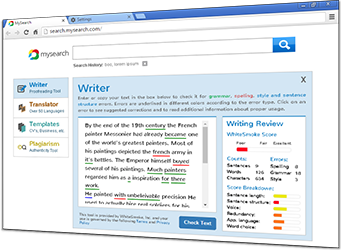 WhiteSmoke Synonyms tool is based on Natural Language Processing (NLP), and provides the user with relevant synonyms for his written words according to the context of the text. WhiteSmoke Thesaurus Software is the ultimate tool to help you search for synonyms. WhiteSmoke Synonyms Software is ultimate solution for your search for synonyms. Try our online Synonyms software for free today, and assess the quality for yourself. 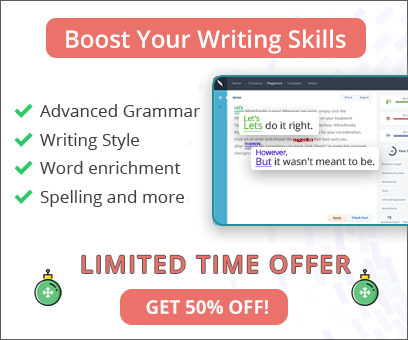 WhiteSmoke Synonym Software is part of a greater arsenal, which includes a grammar checker and a spell checker to enrich your text and correct your grammar and spelling mistakes.